The white-foamed torrents of the Colorado River provide water adventurers with unparalleled opportunities to test the limits of human strength and endurance. 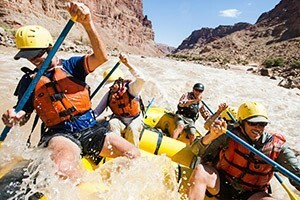 Whitewater rafting and kayaking near Moab is not for the faint-of-heart. But for those brave enough to try, the adventure will provide bragging rights for a lifetime. With nearly 50 years experience providing professionally-outfitted rafting trips, join us on the Yampa, Green or Colorado Rivers for an amazing experience. Click for rates. A variety of whitewater trips from 1/2-day to multi-day expeditions. Offered mid-March to early November. 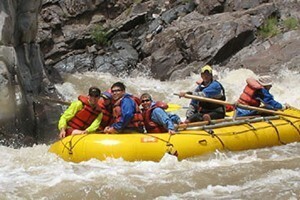 Reserving river rafting trips and other Moab tours. Your guide for all fun things in Moab. Before embarking on any whitewater adventure, it's best to understand the risks you'll be facing. Whitewater rapids are ranked on a scale of I (novice) to VI (professional), based on their hazards and the skill required to navigate them. The ranking of a particular stretch of rapids can vary depending on water level and season, but typically the waterways near Moab range from Class II to Class IV or V.
Fisher Towers is a popular whitewater destination for novice and intermediate rafters. This Class II to III rapid varies from calm to tumultuous, but with an experienced guide, rafters will enjoy a safe yet challenging trip. Fisher Towers is close enough for a half-day or overnight trip. 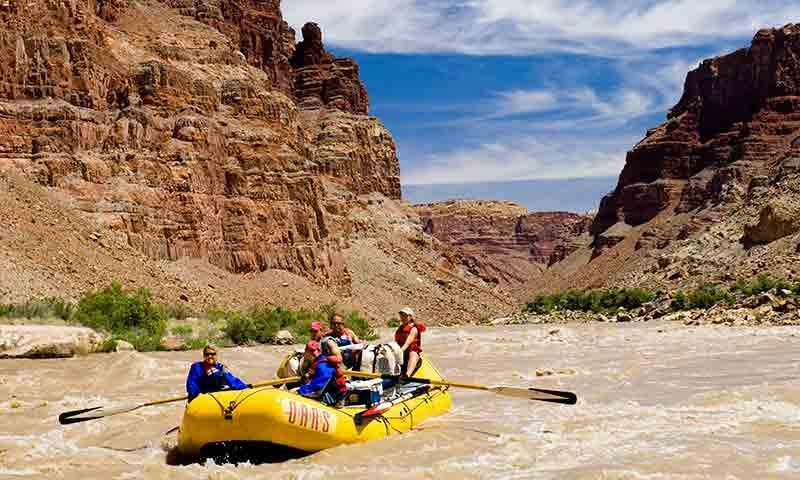 Cataract Canyon and Westwater Canyon are also popular one-day or overnight whitewater destinations. The rapids of Cataract Canyons range from Class III to V depending on the season, which means they should only be tackled by experienced rafters or kayakers. Westwater Canyon is ranked Class III or IV, so rafters must be alert for constantly changing rapids and large obstacles. From whitewater newbies to professional rafters and kayakers, safety is always paramount. The nature of this adrenaline-filled sport is inherently risky, but with an experienced guide, proper technique and education the Colorado River can be tamed.